I recently contributed to a new travel site out of Australia, viagra buy Elsewhere by ninemsn. 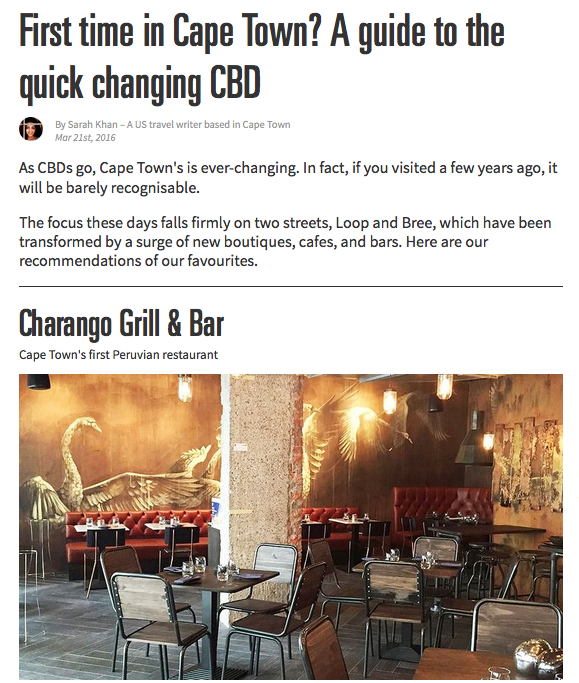 They asked me to share my thoughts on Cape Town’s best brunches, discount and I happily obliged. I also penned a guide to the city’s rapidly evolving CBD .